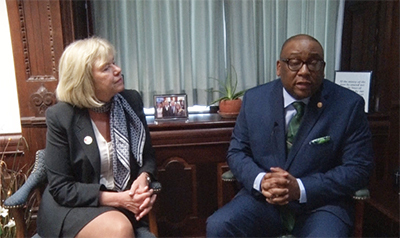 Caption: State Senator Julie Morrison (D-Deerfield) discusses her proposal to incentivize organ donation with State Senator Christopher Belt (D-Cahokia), a kidney transplant recipient. 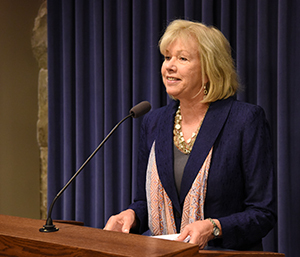 SPRINGFIELD – After years of working with advocates and the Department of Children and Family Services (DCFS), State Senator Julie Morrison (D-Deerfield) has passed a proposal reforming the confusing set of state rules governing reporting child abuse in Illinois. 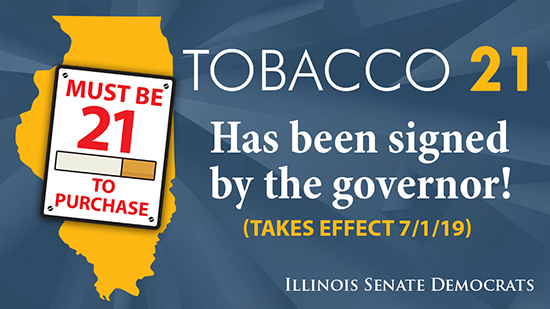 Morrison’s plan – contained in Senate Bill 1778 – reorganizes the list of individuals required to immediately report suspected child abuse or neglect to DCFS. Current state law is difficult to navigate, causing confusion on who is required to report abuse and how to go about reporting the abuse. Join State Senators Julie Morrison and Heather Steans and State Representative Bob Morgan for a Town Hall discussion on Cannabis Legalization. 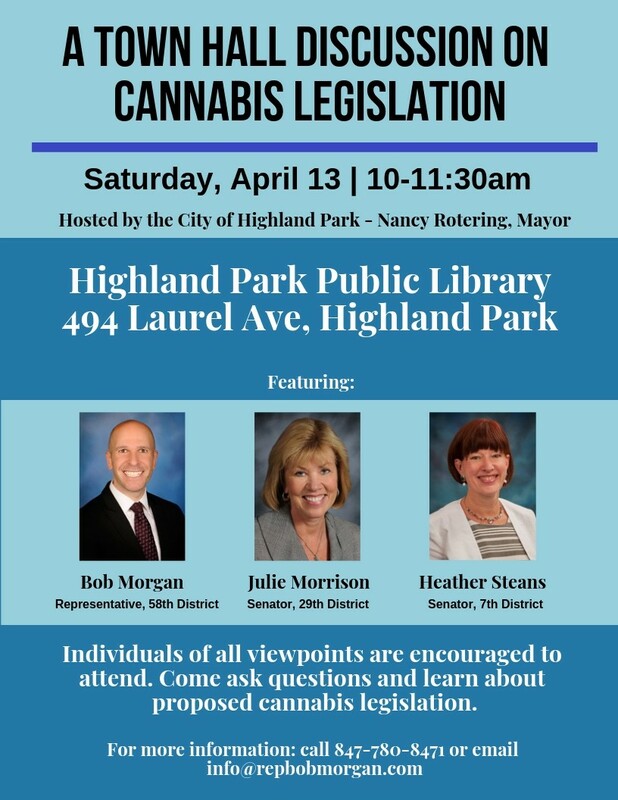 The event is being held on Saturday, April 13 from 10:00a until 11:30a at the Highland Park Public Library (494 Laurel Avenue, Highland Park).